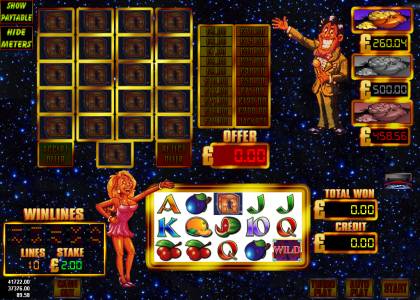 Another 5 reel pokie, vegas style slot game with a game show theme. Three box symbols on a played winline awards the open the box bonus game. 3 pot symbols appearing on reels 2,3 and 4 awards a pick me bonus to win 1of the 3 progressive pots, gold, silver or bronze. The volatility of this game is medium to high. This game has our hide meters option and keyboard shortcuts. Once payment has been made please request your game code via email to activate your game fully. Game updates and codes are sent out as soon as possible.